It’s the weekend, yay! Today I’m going to be talking about the 5 Disney films I most want to watch, but for whatever reasonI haven’t got round to yet! Pinocchio- I’m not really sure why I haven’t watched this yet, as I absolutely loved it as a pantomime (I’ve only seen it done once that I can remember, but it worked a lot better than I thought it would), and some of my favourite characters I met at Disneyland Paris were from this film (Gideon jumps to mind in particular). I definetely need to get round to it soon! Oliver and Company– This film sounds like EXACTLY the sort of Disney movie I love best, seeing that it has music, animals and lovely friendships. (And it’s set in New York, which always tends to be a treat visually!). The last time I tried to get the DVD it was too expensive, but when I check now it’s much cheaper so I’m planning to try and get a copy soon! EditDumbo- I‘ve been putting off watching this for AGES (I’ve owned it for years). Why, you ask? Because I think it’s going to break my heart. I don’t do well with bad things happening to animals, especially baby ones 😭. I’m in the same boat with The One and Only Ivan too! Peter Pan- I had to read the book of Peter Pan when I was at primary school, and I didn’t especially enjoy it. My mum read it with me, and also hated it, but unlike me isn’t especially willing to give the Disney film a chance 😔. I will eventually get round to it myself though! 101 Dalmatians– I haven’t watched this yet because I absolutely adore the book, and I’m worried the film won’t live up to it. I’ve heard it’s lovely to watch around Christmas though, so maybe this festive season will get me to watch it. Thank you so much for reading! Are there any Disney movies you haven’t watcged yet but want to? 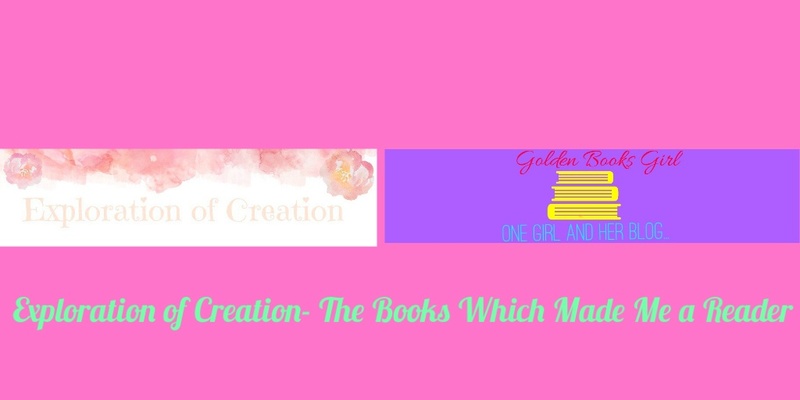 Let me know in the comments or on Twitter @GoldenBooksGirl. 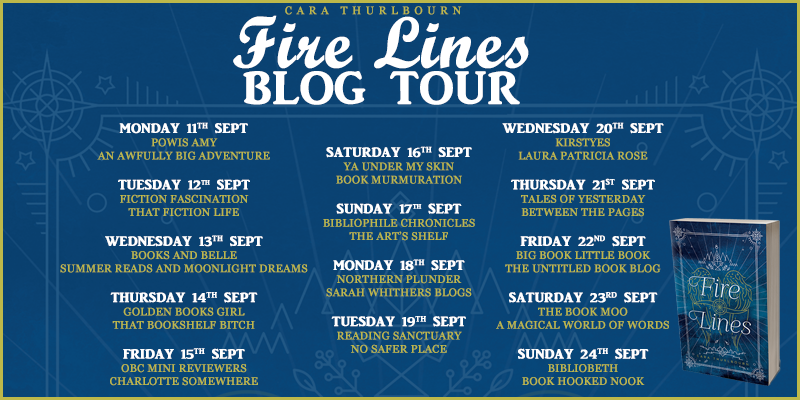 Today I’m part of the blog tour for Firelines by Cara Thurlbourn, and I’m going to be giving you some information about the book and Cara herself. Thank you so much for reading! I’d love to hear what you thought of this book in the comments! Today I’m taking part in the Top Ten Tuesday meme, hosted over at the Broke and the Bookish. MY SISTER THE VAMPIRE by Sienna Mercer- This is a FABULOUS open-ended series aimed at 9+ (currently 18 books long) about Ivy (a vampire) and Olivia (a human) as they dicover they’re long lost twins, and set about solving the mysteries of their past. I’m really overdue a reread of these; especially since I haven’t yet got round to the latest! The first 10 especially are exceptionally good. TOTALLY LUCY and RAINBOW BEAUTY by Kelly McKain- Kelly McKain was one of my very favourite authors when I was younger. Totally Lucy is about a girl called Lucy (shockingly 😱) and her ambitions to be a fashion designer and her friendships and romantic mishaps. They’re in diary format, quite silly and funny and also slightly predictable as you get further on, but they’re a lot of fun. Rainbow Beauty, aimed at slightly older readers, is about Abbie as her family is shattered and she and her mum/sisters move to Devon to start up a beauty parlour and try and make their lives good again. This is a gorgeous series; the first 2 books are brilliant summery reads and the 3rd, Blueberry Wishes, is totally perfect to get you in the mood for Autumn. MALORY TOWERS/FIVE FIND-OUTERS by Enid Blyton- I am a massive fan of Enid Blyton (despite a librarian once trying to tell me I shouldn’t be 😑) and these two series are my favourites. Even though I enjoyed the Famous Five books, I think that the Five Find Outers are far superior, and vastly underrated! They’re fabulously plotted mysteries and the characters (particularly Fatty) are absolutely hilarious. Malory Towers is much better known, and they are about Darrell as she starts Malory Towers (and Pamela Cox has written 6 books about her little suster Felicity’s time at the school too). They’re absolutely excellent! MY LIFE STARRING MUM by Chloe Rayban- compared with my last choices, this book isn’t very famous. It’s about Holly, who just wants to be a regular girl, but isn’t able to because her mum is world famous popstar Khandi. I reread this fairly recently and didn’t love it too much at all, but when I was young it was my go to funny book. SCARLETT by Cathy Cassidy– I’m still a huge Cathy Cassidy fan now, especially of the Chocolate Box Girls series, but Scarlett was by far my favourite book of hers growing up. It’s the story of misfit troublemaker Scarlett as she moves in with her estranged dad and his new family in Ireland and what happens when she meets the gorgeous Kian at the local lough. This book is still really wonderful when I reread, and I highly recommend it for the hilarious scenes, the touching ones, and the portrayal of complicated but loving family relationships. SECRET BREAKERS by HL Dennis- Even though I actually didn’t like this series when I first read it, I grew to adore it. I always describe these as mysteries that aren’t about who dun it or how, it’s about what it means. The 6 book series (which is incredibly well paced) tells the story of ‘Team Veritas’ a team if children and talented ex code crackers as they come together to try and work out the contents of the Voynich Manuscript. The charcaters are all super lovable (my personal favourite is Hunter, who is just delightful) and the mystery keeps you reading even though the chapters/books are quite chunky. THE 39 CLUES by various authors- I’m not sure why barely anyone has heard of this series, but I would love for everyone to read it! They’re very clever, and are about a family searching for clues that lead to a prize which will make them the most powerful people on earth, and this hunt is linked with their ancestors (who in this alternate world are all members of different branches of the Cahill family). I can’t shout enough about these; if you can, please do read them and come fangirl with me! MATES, DATES by Cathy Hopkins- This is the 1st teen series I read (even though I was probably too young 😂) and I adored them. They’re about the friendships, relationships and family troubles of a group of four girls in North London, and they’re really addictive and fun. I got in touch with Cathy after reading them and she’s now a family friend, and the dog in one of her latest releases a Home for Shimmer is actually based on and named after mine! Thank you so much for reading! I’d love to hear about your favourite childrood reads in the comments below! Today, I’m incredibly excited to be part of the blog tour for Ruth Lauren’s Prisoner of Ice and Snow. I read this back in July, and I’ve been super excited for today ever since, as I really couldn’t have loved it very much more! Huge, HUGE thanks to Faye Rogers and Bloomsbury for allowing me to be part of this tour! Let’s get onto the review! 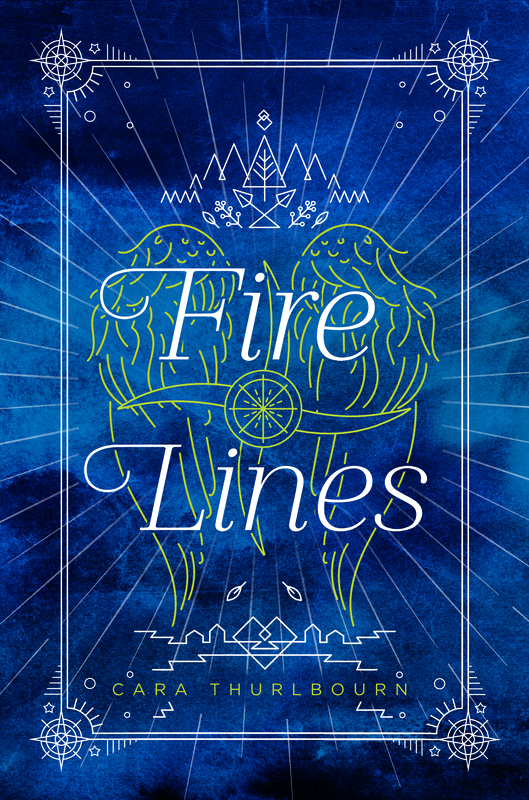 In her debut novel, Ruth Lauren transports us to the wintry kingdom of Demidova, where we meet heroine Valor, who has got herself put into prison so she can break her sister out. Valor is a fantastic character as I really rooted for her, and I also love the supporting cast of the other prisoners who joined the escape attempt as they all felt well rounded and fairly unique, which isn’t always the case with ensemble casts. The book also featured some absolutely chilling villains. This is super fast paced (and quite a short book), and there was almost constant action that made me want to keep turning the pages. There were some major twists and turns, and they’ll leave you not quite sure of which characters you can trust. As well as excellent characters and plotting, the worldbuilding is exceptional. Demidova felt multi faceted and I loved it as a fantasy world. Finally, I thought the actual writing was brilliant. It struck the perfect balance for me of good prose/exciting imagery and keeping the plot advancing. I’m unbelievably excited for the sequel to this next year, as it’s by far one of my favourite books this year. Have you read this book? What did you think? Are you planning to read it? 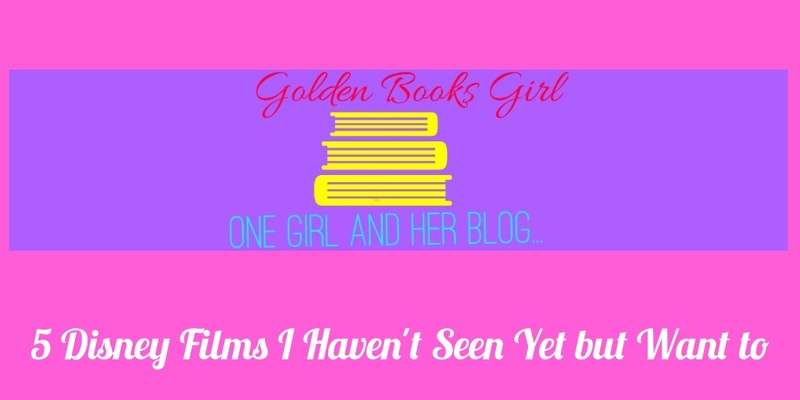 Let me know in the comments or on Twitter @GoldenBooksGirl! THE BREAKFAST CLUB- This is another film directed by John Hughes, and I`m pretty sure everyone has a rough idea what it`s about. If you don`t it, it follows five teens from different backgrounds as they`re forced to spend the day together in detention. It`s an absolutely amazing film, and I have a couple of `best bits`. It`s a perfect mixture of humour and emotion so my favourite humour in the film is Judd Nelson`s as `The Criminal` and I especially love his quote `Screws fall out all the time, the world`s an imperfect place`. BRIDGET JONES`S BABY- Finally, I also love the latest instalment of the Bridget Jones franchise, which sees Bridget (Renee Zellweger) tackle life, love and a rather unexpected pregnancy. Almost every scene in this is comedy gold, but I particularly love the labour scene, which is beyond hilarious! You`ll understand why when you watch it. Jurassic Park – My favourite scene from Jurassic Park is the iconic one; when you see the DINOSAURS!! The look on Alan’s face as he sees there’s an actual dinosaur in front of him is funny and mesmerising, and it’s even better when he grabs Ellie’s head and makes her look. There’s dinosaurs in front of them, and the visual effects still astound me – the film is my age and the dinos look brilliant! The Return of the King – Okay, this one is a tear jerker. If you haven’t watched ANY of The Lord of The Rings films, I would highly suggest watching all three immediately! Also, spoiler warning of course, because my favourite scene is one of the LAST scenes. Okay? Okay. After the battle has been won and the ring has been cast into the fires of Mount Doom, it’s time for celebrations. For the true king to finally be crowned. It’s beautiful, and it finally feels like there is peace in the realm. Then King Aragorn makes his way through the crowds and greets his friends and travelling companions, the hobbits. Frodo, Sam, Merry and Pippin begin to bow, as is expected in front of a king, but Aragorn stops them with one line. “My friends, you bow to no one.” This is where the tears come, as the king and the rest of the entire crowd (including Gandalf, Elrond, and many other important figures) bow to the four hobbits. It’s such a touching and moving scene, as these four normal guys from the Shire didn’t ever expect to wake up one day and be thrust into such a huge battle for the world. It’s the perfect ending to a fantastic series. Today, I’m taking part in the ‘Bookish This or That’s tag, for which I was tagged by Ayla! Considering I’ve only ever listened to one audio book (The Mum Detective by Gwyneth Rees, when my eyesight was still too bad after my surgery I was unable to read myself), I’ll definetely need to go for text books! Paperbacks. I don’t hate hardbacks anywhere near as much as I used to (I used to take dust jackets off and leave them bare as I thought they were so annoying 🙈) but there’s something much nicer about a paperback. As I can’t even think of a non fiction book I’ve read, I’ll need to say fiction! I tend to prefer going to a bookshop, as it’s more interactive and fun, and I really REALLY love the feeling of bookshops. I do buy from Amazon etc too though! Of these, I’d go for standalone, but I actually favour longer/open ended series, if I’m honest. Sweet and Short I think. My preferred length for books is between 300-400 pages (unless it’s Harry Potter, in which case I think are all almost exactly the perfect length for the plot) and I also definetely favour books which are lighter in tone. Until this summer I’d probably have said reading in the sun, but this year it just didn’t hold the appeal it usually does, so I’ll have to go for a cosy read indoors! 8. Hot chocolate or coffee? Thank you so much for reading! I’m tagging Kelly and Louise ! I‘d love to hear in the comments or on Twitter @GoldenBooksGirl about some of your reading habits, both inspired by these questions and in general! 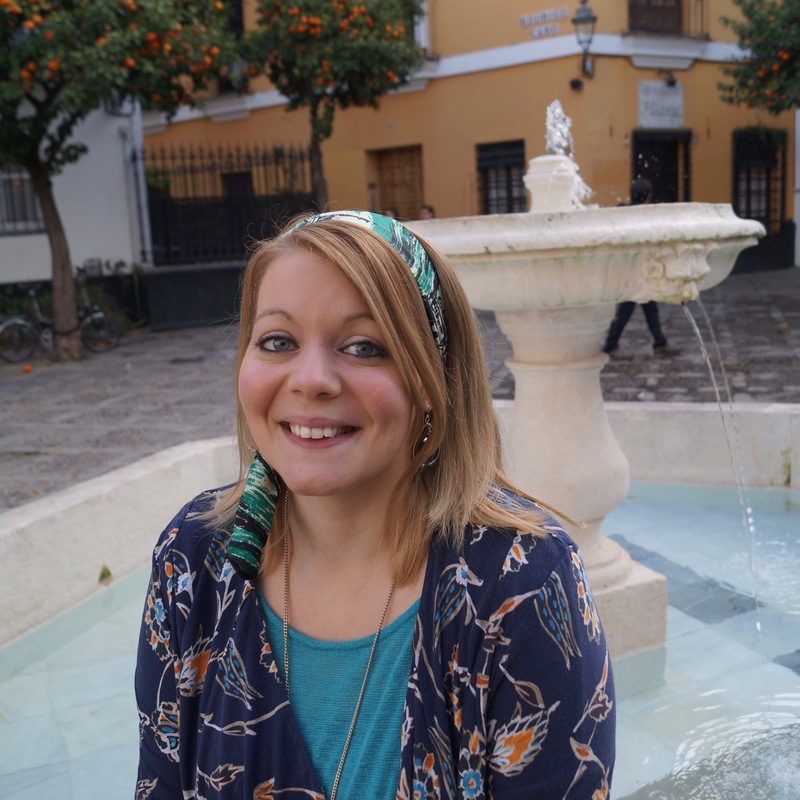 Today’s post is by my lovely friend Katie, who blogs over at Exploration of Creation. Over to her fabulous post now! 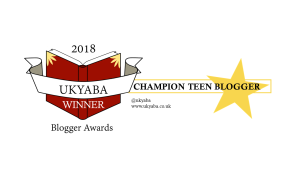 I have loved reading (and writing) books since I was in primary school – reading a good book has always felt like escapism to me, especially in tougher times, and some of the books we read as children really do shape us into the readers, and people, that we become as teens and adults. Here are the ones that have made me the bookworm that I am today. This is probably the book series that I remember most clearly from primary school. The first ever book was called “Ruby the Red Fairy” and it followed best friends Rachel and Kirsty who meet on holiday and discover a whole magical world of fairies together. Okay, okay, it sounds a bit silly now, but I can actually remember acting the books out with my best friend in the school playground. They really inspired my imagination – and I still enjoy reading fantasy, especially female-centric, to this day. My primary school library had about fifty of these books, and I’m pretty sure I read every single one in the seven years I was there. These books gave real voices and responsibility to the children characters (often the adults were far less sensible/kind). It also really taught about animal welfare and being kind to domestic & wild animals. I think this book really engaged me in books about good people, good deeds and on-going series. This was one of the first books I read as a young teenager (possibly read it slightly too young, which I’ve been doing all my life, and now read technically “too young” as a 20 year old reading YA). There are so many Jacqueline Wilson books I remember and loved – KISS, Candy Floss, Cookie, Lola Rose, The Illustrated Mum, Best Friends, Vicky Angel. Girls Out Late was one of the first times I read a book about teenage girls, in first relationships, struggling with female friendship and body issues and betrayals. I really think Jacqueline Wilson needs commending for writing the books that she does, for young teens, never once insulting them by shying away from tough topics, instead always shining a spotlight on them. These were probably the best books I read as a teenager. I adored them. Again, similarly to Jacqueline Wilson’s books, they tackled really tough, relevant teen topics, like body image, cheating and friendship. My favourite thing about the series was that last one; the female friendship in this series was strong, a constant topic of focus – something great for teenage girls to be reading about. This book was really the book that got me back into reading at around the point I was in sixth form, after quite a dry spell, reading-wise. I read it and it honestly had such an emotional impact on me that it spurred me on to begin exploring YA properly. I think it was perhaps so influential for me because it focuses on cancer, which is hugely significant to me and my family life. It is, to this day, one of my favourite books in the entire world. Okay, so this has to be, hands down, the books that made me a reader. That’s why I saved it until last. I can’t remember the exact age I was when I read The Philosopher’s Stone for the very first time, but I know I have reread the entire series every single summer for at least the last 4-5 years. Some of Dumbeldore’s quotes are genuinely things I live my life by. Harry Potter is not just about magical witches and wizards and bad guys – Harry Potter teaches us about the fragility of life, the all encompassing nature of death, friendship, sacrifice, bravery and, perhaps most of all, love. I just wanted to say thank you so much to Amy for letting me do this guest post – it’s such a cool idea, and reading hers had me totally inspired! Be sure to leave your own favourites in the comments section! !